But those are the words John Olsofka, MD, general surgeon, Louisville Surgical Associates, affiliated with KentuckyOne Health, used when describing bariatric surgery. Not that he’s opposed to bariatric surgery. 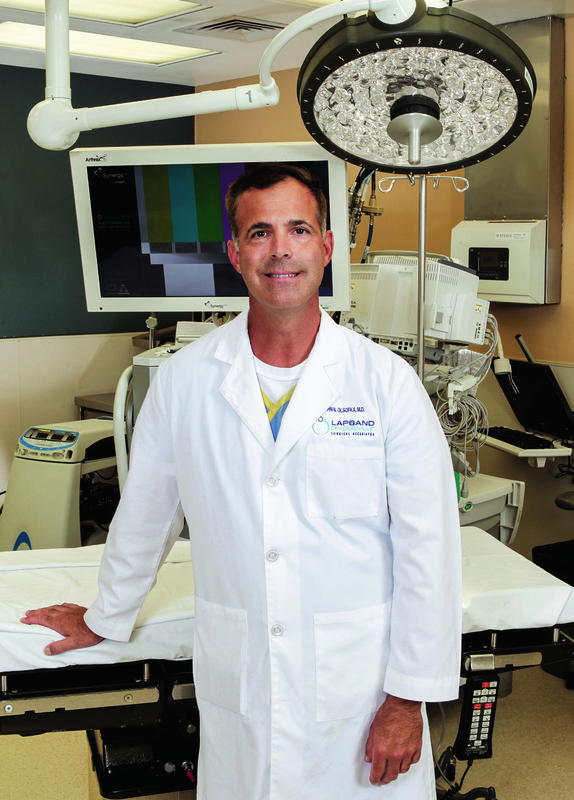 He and his partner, Vincent C. Lusco III, MD, also a general surgeon, perform nearly 300 such procedures annually. But he’s the first to admit that their role as surgeons is only one part of the patient’s journey toward better health. That responsibility carries on past the surgery, which Olsofka describes as giving the patient the tool they need to be successful. From there, the patient must work with the physician, dietitian, exercise physiotherapist, and their support group to make the “tool” work long-term. Louisville Surgical Associates launched a bariatric program at Sts. Mary and Elizabeth Hospital, part of KentuckyOne Health, in 2003 and has developed an extensive aftercare program to help patients make the long-term lifestyle changes necessary to succeed. Olsofka admits that it’s not often that general surgeons are involved in counseling, therapy, and education to this degree, but says bariatric surgery isn’t a typical surgical fix. Neither can the type of bariatric surgery a patient chooses. With bypasses, sleeves, bands, and balloons all available, patients have many options from which to choose. Until recently, Olsofka and his group have exclusively offered LAP-BAND® surgery, but they were selected as one of the first programs in the country to be trained in the gastric balloon and now offer the ORBERA™ gastric balloon. The balloon offers a way to get back on track utilizing a temporary tool with a good safety profile. It is placed endoscopically with minimal sedation, and the patient is able to get back to work very quickly. Instances of ruptures or leaks are rare, and, if they do occur, the balloon can either be removed or will pass on its own. The primary difficulties occur during the first couple of weeks with patients presenting feelings of nausea or being uncomfortably full. Those states of discomfort typically dissipate after a couple of weeks, and the patient is able to adjust for the remainder of the six months the balloon is in place. But, much like the aftercare program Louisville Surgical Associates employs for their LAP-BAND patients, the care doesn’t end when the balloon is removed. “Even though the balloon is only in for six months, we’re going to follow the patients for an entire year and continue to assist them with nutrition and exercise and support so they can have the best result and maintain it,” Olsofka says. Olsofka says that patients who engage in the program can expect to lose three-and-a-half times more weight than they would with a regimented weight loss and exercise program. With the help of the aftercare program, the hope is that the patient will adopt some behavior modifications allowing them to maintain their weight loss long term. Replacing the balloon if they fail to do so is not approved currently, so the next option would be a surgical procedure. The LAP-BAND procedure also is done on an outpatient basis and takes about 30 minutes to perform. The downtime from work is usually about two-to-three days. Olsofka says that patients with the LAP-BAND can expect to lose one-to-two pounds per week consistently. While that’s a slower process than the balloon, the long-term success can have a significant effect on the patient’s overall health. These patients often present with disorders such as diabetes, hypertension, or sleep apnea, the impact of which can be reduced or eliminated through weight loss. Frequently it is those types of disorders that lead patients to seek out a solution. 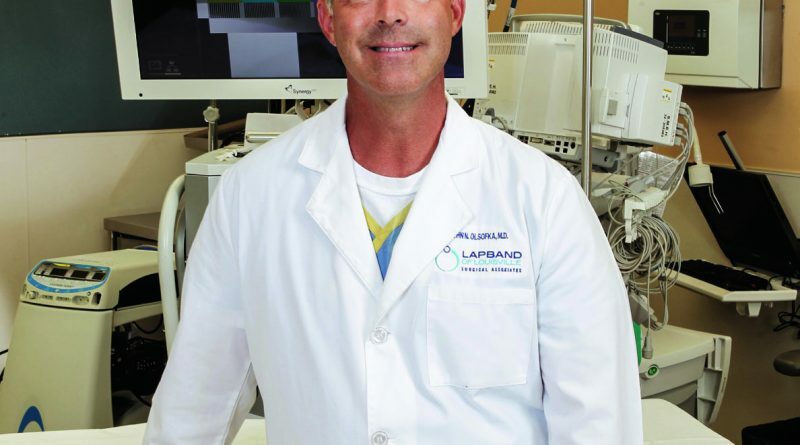 About 95 percent of Louisville Surgical Associates’ patients find what they are looking for on their websites: lapbando-flouisville.com and gastricballoonky.com. Taking the first step on their own makes the patient’s prospects for success that much more promising.